You are currently browsing the category archive for the ‘Labor’ category. Al Jazeera reports on the true costs of Australia’s mining boom which includes the ‘Big Australian’ BHP Billiton’s role in the growing concerns of the destruction to the environment, families, Aboriginal communities and the future of Australia as a sustainable, clean and just country. PROTESTERS outside BHP Billiton’s annual general meeting in Perth have slammed the resource giant’s uranium mining plans in Australia. 12 April 2010: A 45 year old booger operator died at the Leinster Perseverance mine after his truck fell almost 20 metres down a mine shaft. It took 18 hours to retrieve his body. 28 June 2009: A driller was trapped underground at Perseverance mine in Leinster for two and a half hours after a rock fall. 10 June 2009: A 37 year old man was trapped underground at the Perseverance mine in Leinster for 16 hours after a rock fall. 19 March 2009: A 45 year old contractor died in Hospital after he fell about 12m from machinery at Mt Whaleback mine in Newman. 24 February 2009: A 56 year old track machine operator was killed when he was hit by a train on the Tabba line 74km south of Port Headland. 4 September 2008: A 19 year old truck driver was killed when a light vehicle and a haul truck collided at the Yandi mine, 140km north-east of Newman. 25 August 2008: A 29 year old man was killed when a hydraulic lift fell on him at the Nelson Point operations in Port Hedland. Source: The West Australian Thursday 2, 2009, with updates. 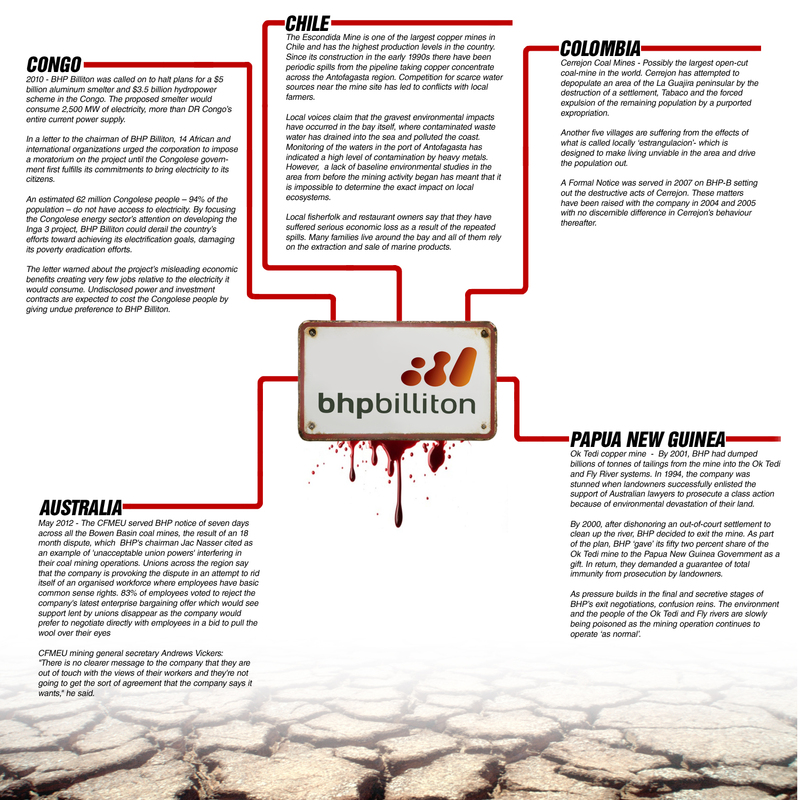 BHP Billiton’s Ravensthorpe Nickel mine highlights the human costs of the boom to bust mining economy; but beneath this lies another story, that of the environmental costs of unplanned mine closure.